There is little in the way of middle ground when it comes to Galileo, but of one thing, there is lots: history. One senior official tells a tale of the now deceased French president Francois Mitterrand being shown, but not being allowed to keep, top secret US satellite photos of Iraqi military movements. Mitterrand's response? 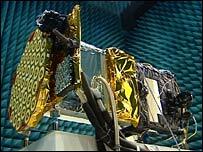 To demand of his officials that France build and launch its own spy satellite system. 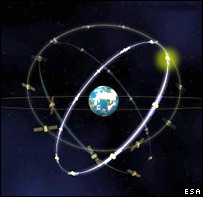 Nearly 20 years on and much of the talk that surrounds Galileo is the need to be independent of US military technology - in this case the Global Positioning System (GPS) that currently drives, for example, satellite navigation devices. "Nobody can rely on somebody else's system," says Javier Benedicto, Galileo's project manager. "This is why the Russians, the Chinese, the Indians, the US, and also the Europeans have to deploy their own system in order to match their own needs. "Now, we should ensure that all these systems are interoperable and compatible with each other, but that doesn't remove the need for Europe to have its own system." A meeting on Thursday of the 27 EU transport ministers in Brussels gave the political green light to the project. The usual EU suspects are unhappy about Galileo and the budget shenanigans that have surrounded it. Worthy Scandinavians worry about the propriety of unstitching a budget only recently agreed. The Dutch have long had misgivings. Support is lukewarm-bordering-on-downright-hostile in the UK. In the downright-hostile camp is Labour MP Gwyneth Dunwoody, who chairs the House of Commons Transport Select Committee, and is brutal about Galileo. The proposed system she describes as "a nonsense" which "no commercial firm wants anything to do because they don't think they can make any money out of it, no obvious benefit is to be gathered, no really efficient service is to be delivered." In the lukewarm camp is the UK Government. Officials talk about cost-efficiency and rigorous review in a forlorn way, as if they know in their hearts that the project is doomed already to mismanagement and overspend. Other diplomats acknowledge the lurking presence of the white elephant in the corner of the room. "What concerns me," says one, pausing, "is that the reasons [for Galileo] keep changing". Nothing like Galileo has ever been done by the EU. Vast sums have been handed out to member states, and European flags adorn buildings and bridges from Trieste to Glasgow all attesting to the generosity of the European Union. But the EU has never managed and built anything like this before. And for some, alongside the technological advantages, and the desire to be free from dependence on America, that's the point. 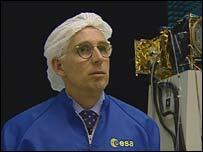 Matthias Reute, director general of the Commission's Transport and Energy departments, was one of those who helped dream up Galileo as a European project in the late 1990s. Galileo, he says, will launch. If it's not the EU that does it, then a European consortium like the one that set up Airbus, he thinks, would step in. That, he says, "would be bad for Europe." "Because we have embarked on it together, we would to a certain extent be saying we can no longer take decisions because we've become too big, and the sense of community will no longer be there." And so a small part of the European dream heads for space. Another global navigation satellite system isn't a giant technological leap; but it is through small steps, not giant leaps, that the EU evolves and grows.